In the grocery store, you may have noticed more labels on foods that say “no GMOs.” You probably have at least one friend in your social circle who is vehemently against eating foods made with genetically modified organisms (GMOs). While it’s easy to find people who speak out against GMOs, we often hear very little about why these genetically altered plants, animals, and microorganisms are bad for us. 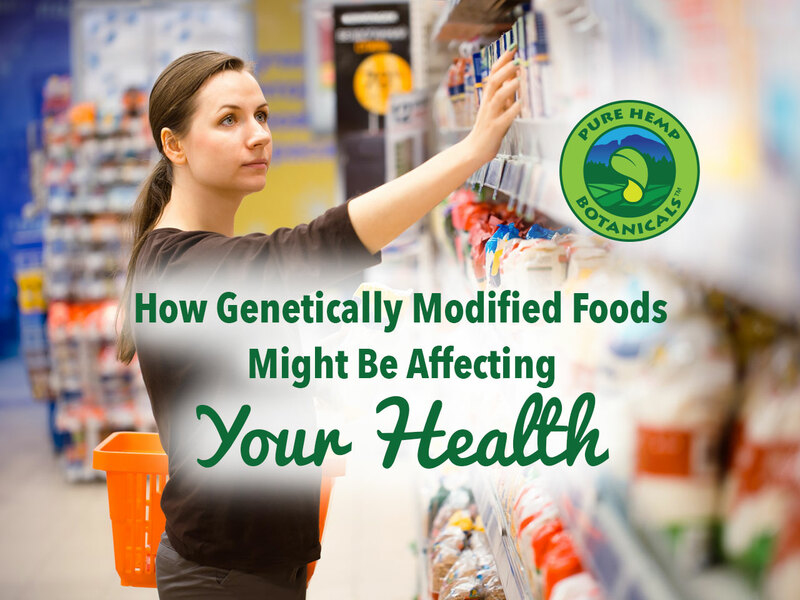 Since scientists have used technology to create beneficial medicines and therapies, you may be wondering why we should distrust their ability to create genetically altered foods that are beneficial. The truth is that the scientific community itself is divided about the safety of genetically modified foods. In 2015, the journal Environmental Sciences Europe published the paper “No Scientific Consensus on GMO Safety” that was signed by over 300 scientists. The purpose of the paper was not to establish the safety or lack of safety of GMOs. Instead, it was to disprove the belief that there was a general consensus among the scientific community that they are either safe or unsafe. The purpose was also to illustrate the complexity of determining the safety of GMOs for human consumption and how much thorough research is hampered by the developers of GMOs. That last point is what is the most disconcerting about genetically modified foods. Plants, animals, and microorganisms that have had their genetic material altered in an unnatural way are labeled as genetically modified organisms (GMOs). The developers of GMOs are usually commercial organizations whose purpose is to create crops that are more resistant to insecticides, bacteria, and viruses, or animals that mature faster, in order to increase profits. The concern for both consumers and scientists is that potential health risks are being overlooked because of the large amount of money at stake. Historically, when the profits of large conglomerates are at stake, health concerns have sometimes been overlooked, ignored, or concealed. This fear is all the more legitimate since these organizations do hinder scientists’ ability to thoroughly study the GMOs they produce. While more research is necessary to establish the safety of GMOs in terms of the three greatest potential risks listed by the World Health Organization (outcrossing, gene transfer, and allergenicity), genetically modified organisms pose an indisputable risk to public health because of their resistance to dangerous herbicides and pesticides. The majority of genetically engineered crops are designed to be resistant to these toxic treatments, thereby enabling commercial farmers to use high levels of herbicides and pesticides to treat their crops. This poses a serious risk to human health and the environment. All of Pure Hemp Botanicals’ products are non-GMO, as we are committed to putting our compassion into action through practices that benefit the earth and its inhabitants.